ESIC Jobs Recruitment Notification 2018.Employees State Insurance Corporation, ESIC inviting applications for the positions of Junior Engineer, Assistant Engineer.Interested and Eligible candidates can apply for the positions. 1. Junior Engineer : Degree / Diploma in Civil/ Electrical Engineering from recognized University / Institution. He / She must have been retired from Central/ State P WD or CPSUs / PSUs (dealing in Civil/ Electrical Engineering works) from the post of J.E. & above. 2. Period of Contract : Initially for one year which is extendable annually up to the age of 65 years, based on satisfactory performance. 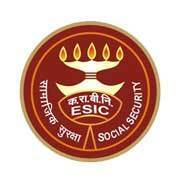 An agreement would be executed with the selected Candidates by the ESIC, RO, Ahmedabad as per norms Of ESIC. 3. Remuneration-and other benefits : A consolidated amount equivalent to last pay drawn minus pension drawn by them is payable to such retired Govt. personal according to the level / rank at the time of their retirement / superannuation. In addition, he will also be entitled to travelling allowance and other incidental expenses as admissible by ESIC. He will be entitled for one day leave to every completed month of service in addition to Govt. Holiday. TDS will be deductible as per rules. 1. Assistant Engineer : Degree in Civil / Electrical Engineering from recognized University / Institution. He / She must have been retired from Central/ State P WD or CPSUs/ PSUs (dealing in Civil/ Electrical Engineering works) from the post of A.E. & above. Interested candidates may report for interview on 01/08/2018 at 11 A.M. at the 4th floor Of ESIC Regional Office, Income Tax Circle, Ashram Road, Ahmedabad. No TA/DA will be paid for attending the interview. Result of the selected Candidates would be published in the notice board of ESIC Regional Office, Ahmedabad.